New York (CNN Business) Those who miss Vine videos may find some solace in TikTok. The Chinese short-form video app has been gaining global momentum. It’s been downloaded about 80 million times in the United States, and nearly 800 million times worldwide, according to data from mobile research firm Sensor Tower. Those figures exclude Android users in China. Users share short videos of themselves cooking, dancing, lip-syncing or doing regular tasks like brushing their teeth. The videos, which often feature music in the background, can be sped up, slowed down or edited with a filter. 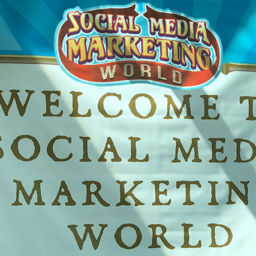 Similarly to Instagram, users can follow others and “heart” or comment on videos. TikTok videos are also being reposted to other platforms, like Twitter and Instagram. According to Sensor Tower, TikTok’s revenue has more than tripled in the past year. 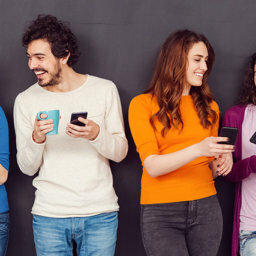 The app has increased its international marketing efforts, canvassing Instagram and Snapchat with TikTok ads. Social media influencers and celebrities are starting to join. YouTube star Jake Paul, comedian Jimmy Fallon and skateboarding legend Tony Hawk all have accounts. TikTok — which launched in 2016 — was downloaded more than Facebook, Snapchat, Instagram and YouTube in October, according to Apptopia, an intelligence firm that tracks mobile apps. It’s on track to beat them out in November too. In August, ByteDance, the Chinese internet company behind the app, shut down Musical.ly — a short-form video app it acquired in November 2017 — and merged it with TikTok. Since then, it’s been gaining popularity in the United States. 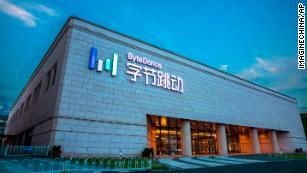 ByteDance calls itself an artificial intelligence company, and it’s known in China for its popular news app Jinri Toutiao, or “Today’s Headlines,” which launched in 2012. The TikTok app is a way for ByteDance to expand into the US market and target younger users. In general, Chinese social media apps have had trouble attracting users from outside their country. “TikTok could be the first long-term successful social app in the United States owned and operated by an Asian company,” Apptopia wrote in a recent report.TikTok is attracting attention from brands, too. It recently teamed up with fashion brand Guess on a denim campaign to target Millennials and Generation Z on the platform in September. Facebook has taken notice of TikTok’s rising popularity, and even launched a competitor app called Lasso earlier this month. The app lets users create and share short videos with music and camera effects. Adam Blacker, communications lead and VP of mobile research at Apptopia, called Lasso “almost identical” to TikTok. Not all viral apps end up successful and TikTok’s fate is still to be determined. In February, Vero was briefly the hot social media app of the moment. Pegged as an alternative to Facebook and Instagram, it showed users content in the order it was posted and didn’t feature ads. Other social apps, such as Peach and Ello, also went viral before fizzling out. CNN Business’ Sherisse Pham contributed to this report.